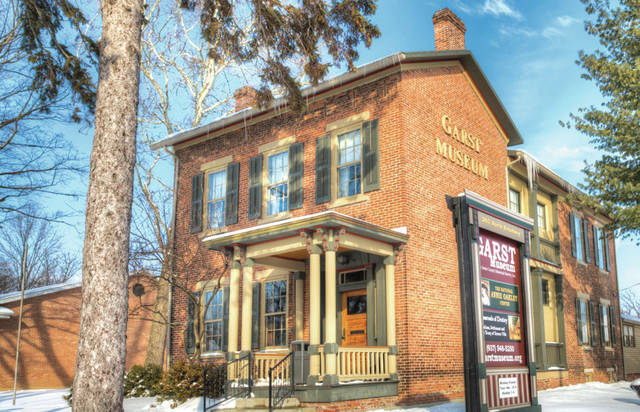 Garst Museum has earned the ranking of “Best Historical Museum” from the readers of Ohio Magazine for the fifth year in a row. Garst Museum’s exhibits are housed within a 35,000-square-foot structure that showcases many elements of Ohio history. GREENVILLE — Garst Museum has earned the ranking of “Best Historical Museum” from the readers of Ohio Magazine for the fifth year in a row. Johnson was also thankful to have the continued support of Darke County residents as the museum carries out its mission. Johnson said he and his staff plan to continue giving the community opportunities to enjoy Garst’s many resources and collections by offering free lectures, educational outreach programs and, of course, the annual Gathering at Garst festival. “Garst Museum provides each visitor with the opportunity to experience a wide range of eras, from the earliest days of pioneer exploration and settlement to the lives of local legends and heroes, including Annie Oakley, Lowell Thomas and Bronze Star recipient Douglas Dickey, to name a few,” Johnson added. Garst Museum’s exhibits are housed within a 35,000-square-foot structure that showcases many elements of Ohio history. 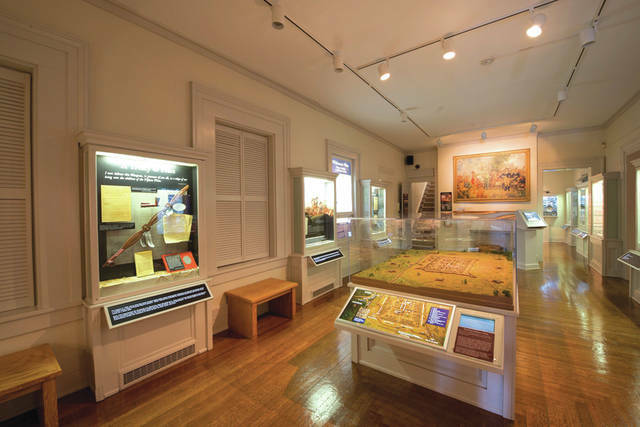 Visitors enter through the main building — a Victorian structure built as an inn in the 1800s — to find exhibits showcasing the state’s earliest Native American inhabitants and exploring the connection between Darke County native Lowell Thomas and legendary English diplomat Lawrence of Arabia. Garst also is the home of the National Annie Oakley Center, which is dedicated to exploring the life and history of the Darke County-born sharpshooter and historical figure. Viewers walk through a timeline of artifacts that span Oakley’s life, including photographs, clothing and several rifles. Garst Museum is open Tuesday through Saturday from 10 a.m. to 4 p.m. and Sundays from 1 to 4 p.m. Admission is $10 for adults, $9 for seniors, $7 for youth and free for children younger than 5. For more information about the Garst Museum, visit www.garstmuseum.org or visit the facility. This entry was tagged Best Historical Museum, Best of Ohio, Garst Museum, museum, Ohio Magazine. Bookmark the permalink.